NEW: Upgrade firmware from your host microcontroller! The Sentrius™ RM1xx series of modules offer a powerful, convenient solution for long-range Enterprise IoT (EIoT) deployments. 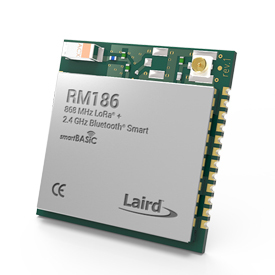 Laird Connectivity innovatively combines Bluetooth® v4.1 with LoRaWAN™, the emerging standard in Low Power Wide Area Networks (LPWAN) into one module. 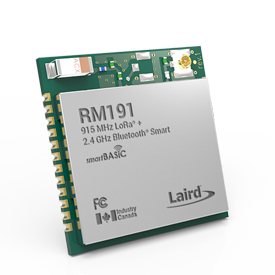 RM1xx modules aggregate and transmit data from Bluetooth® Smart (BLE) devices and sensors over LoRaWAN to gateways as far as 15 km (~10 miles) away. This bridges the personal area network to the wide area network in a unique way. 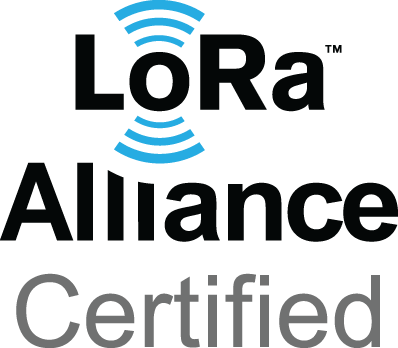 The Sentrius RM1xx will be LoRa® Alliance certified and fully interoperable with any LoRaWAN™-adherent gateway. 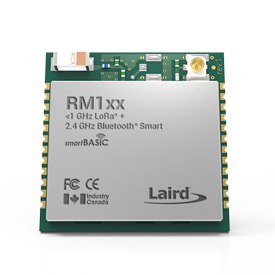 Designed for the EIoT – Innovative combination of BT™ v4.1 and LoRa® makes the RM1xx the bridge between Bluetooth Smart devices and a network that intelligently uses their data. Ultra-low power usage schemes – Allows years of use on a single battery. 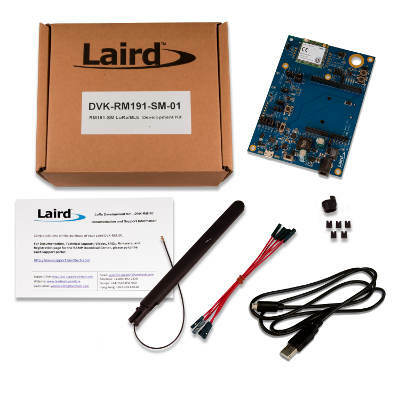 Laird Connectivity’s unique smartBASIC language – Makes it extremely easy to create event-driven, hostless applications. Compliant with FCC, CE regulations – Available as the RM186 (CE) or RM191 (FCC). 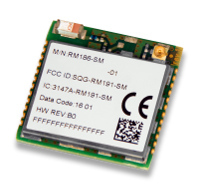 Bluetooth v4.1 (BLE Central or Peripheral), physical UART, SPI, I2C, GPIO, or ADC.